Aunt Molly Jackson (1880-1960) was an influential American folk singer and union activist. Her full name was Mary Magdalene Garland Stewart Jackson Stamos. She was the wife of coal miner Jim Stewart, who was killed in a mine accident in 1917; shortly afterwards, she married the miner Bill Jackson. Her father and a brother were blinded in another mine accident. Only one recording by Aunt Molly was released in her lifetime: “Kentucky Miner’s Wife (Ragged Hungry Blues),” recorded in New York City on December 10, 1931; it is posted here. 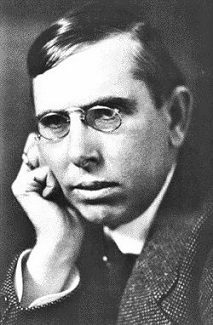 The Dreiser Committee was a self-appointed group of left-leaning writers who came from the north to witness the desperate situation of striking Kentucky miners in November 1931, when the Communist-led National Miners Union rivaled the United Mine Workers of America for a dominant union role. Officially calling themselves the National Committee for the Defense of Political Prisoners, the writers (including Theodore Dreiser, Lewis Mumford, John Dos Passos, and Sherwood Anderson) listened to various members of the mining communities—the oppressed—in order to learn about this vivid example of class warfare, and place it in the context of international class struggle. The people in this country are destitute of anything that is really nourishing to the body. That is the truth. Even the babies have lost their lives, and we have buried from four to seven a week all along during the warm weather (Harlan Miners Speak 279). Dreiser’s group was so captivated by Jackson’s song that they included the lyrics at the very beginning of their published report, Harlan Miners Speak. Additionally, they invited Jackson to New York City to sing her song and speak about the miners’ plight. Jackson was a compelling symbol of her neighbors’ struggle: an aging miner’s wife, gaunt but fierce, who had lost many friends and family members in the mines, and, most importantly, who possessed the will and the voice to tell about it. To the Dreiser Committee, perhaps shamed by what they perceived as their own bourgeois intellectual backgrounds, Jackson represented the “real” thing, the “authentic” character and voice of the people. Moreover, she was a creative font burgeoning with songs and stories—many probably embellished or stolen, but “authentic” nonetheless. New York intellectuals would soon embrace her for this very reason. This entry was posted in Dreiser Committee (to aid striking coal miners) - Harlan County, Kentucky, music and tagged Aunt Molly Jackson, シオドア・ドライサー, シオドア・ドライザー, シオドー・ドライサー, シオドー・ドライザー, セオドア・ドライサー, セオドア・ドライザー, Dreiser Committee, Dreiser Committee Harlan County, Mary Magdalene Garland Stewart Jackson Stamos, теодор драйзер, Theodore Dreiser on March 14, 2016 by Roger W. Smith.